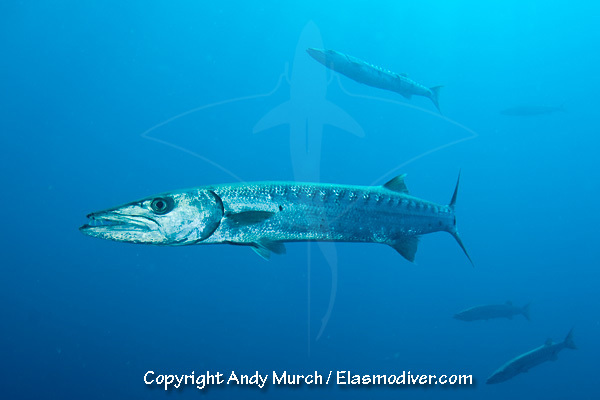 The Great Baracuda (Sphyraena barracuda) is a common inhabitant along the eastern seaboard of the United Stated and the Caribbean. 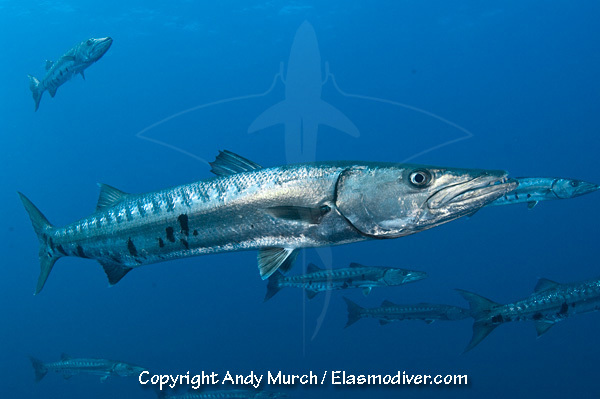 It is a large baracuda that can be found in groups but is also commonly seen on its own hunting on the reef. 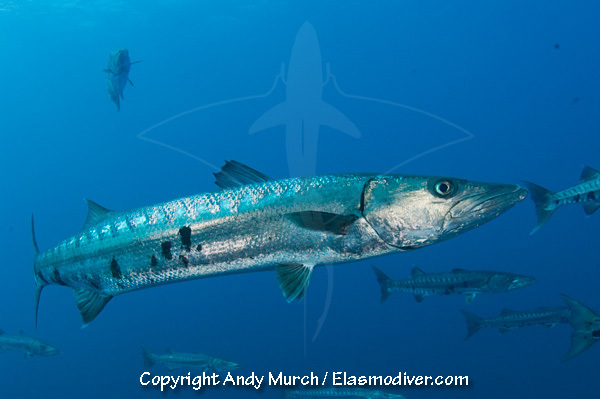 These Great Baracuda pictures are available for commercial licensing. For further information regarding usage please e-mail Elasmodiver. All of the images on elasmodiver.com are copyright protected. No unauthorized use of these Great Baracuda pictures is permitted. Please contact Elasmodiver for further information.